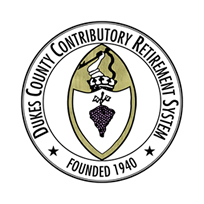 Members in Groups 1, 2 or 4 may use the State Retirement Board’s online pension calculator to estimate their retirement benefits. Their site has two calculators: one for members entering service before April 2, 2012 and one for members entering service on or after April 2, 2012. Please be sure to select the appropriate calculator before proceeding with your estimate. The calculator can be a helpful tool in roughly estimating your retirement benefit. You may also request an estimate from our office by submitting Estimate Request Form or by calling us at (508) 696-3846 to set up an appointment.